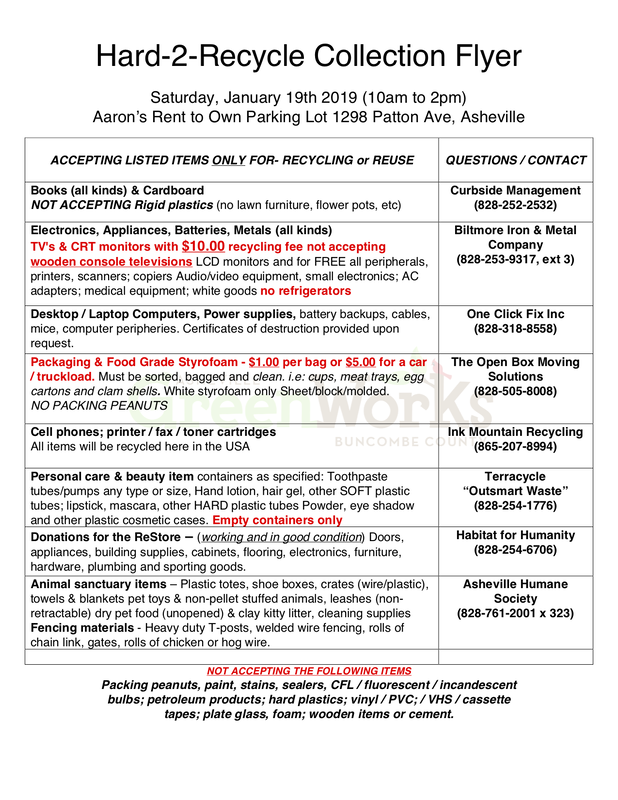 Join Asheville GreenWorks for the after the Holidays Hard 2 Recycle collection. Event sponsors will be there collecting broken electronics, appliances, batteries, wire, scrap metals, books, styrofoam and MORE. Volunteers are always needed to help keep these events moving. Email volunteer@ashevillegreenworks.org if you’re willing to come out for a couple hours.